2 Which are the best Greek islands to visit? 2.1 Is Greece an island? 5.3 Thermal Springs in Greece? Try Kos.. If you’re like me, a Greek Island holiday is frequently on your mind. But which are the best Greek islands to visit? I’ve been there so many times and yet I still can’t get enough. I’m drawn to the long, sandy beaches and crystal blue seas. I love the whitewashed buildings with the blue roofs, often wondering, ‘why did they choose blue?’ There is something hypnotic about the Greek islands. I remember when I arrived in Greece, back in 1986. I spent a few days in Athens before heading out to the islands. Any rate, any trip to Greece should start with two days in Athens to explore this beautiful city because it’s very different to the islands. There is something about a Greek island vacation that takes me back to a much more innocent and friendlier time. It’s like time has stood still on so many islands, and others are way ahead of their neighbors in terms of tourism and development. But the big question is, which are the best Greek islands to visit? There are so many options of Greek island itineraries to choose from. There are so many similarities and yet so many differences in the Greek islands. Several are rugged with barren landscapes and others invite you with their quaint villages hanging off rocky cliff sides. And then there are those that tease you with their green lusciousness. There are so many wonderful islands to visit in Greece. It’s simply an amazing country. But again, which are the best Greek islands to visit? To answer your question, I’d say, ‘All of them.’ But that’s not possible. 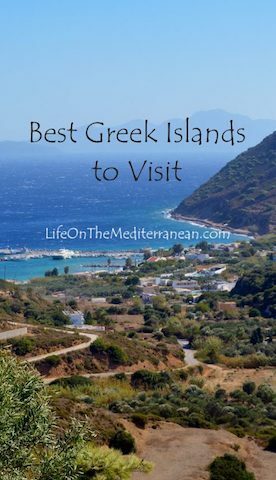 If I had to narrow it down, I am quite biased in my opinion, so I’ve asked some friends to help you decide on which are the best Greek islands to visit, and why. You can decide for yourself. Some people ask if Greece is an island? No. 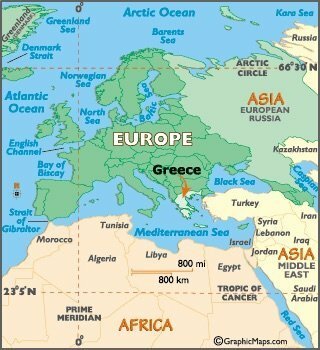 Greece is a country with up to 6000 islands. 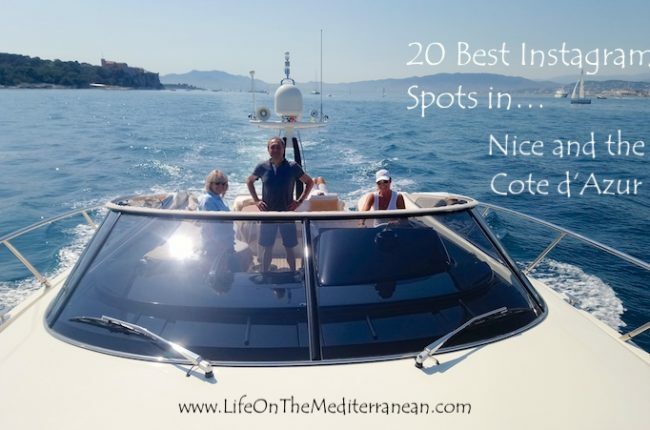 They are dotted around the Aegean and Ionian seas, all along the Mediterranean. The five largest Greek islands are Crete, Euboea, Lesbos, Rhodes and Chios. The Greek Islands are separated into ‘families of islands’, which share the same terrain and vegetation. There are the Argo-Saronic Islands near Athens. The Cyclades is a large group of islands in the central part of the Aegean Sea. The North Aegean islands are off the coast of Turkey. Then there are the Dodecanese, which are my favorite, in between Crete and Turkey. The Sporades are just off the mainland coast between Athens and Thessaloniki, and the Ionian Islands are on the western side near Italy. 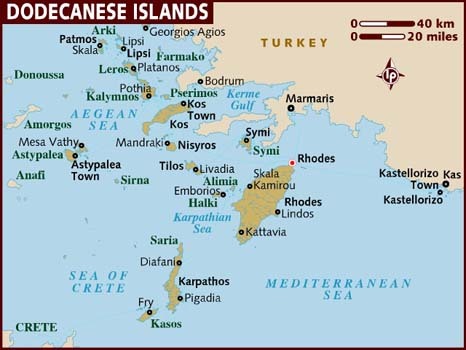 The islands around Crete and Euboea are island groups all by themselves due to their size. Ok, let’s see what my friends say are the best Greek islands to visit. Crete is the largest of the Greek islands and is the 5th largest island in the Mediterranean Sea. About 650,000 people live on Crete. It’s a magical island that has its own book about the Cretan Mediterranean diet. The easiest way to start your island hop is by booking ferry tickets via Blue Star Ferries from Piraeus (Athens) to Chania (Hania, Crete). The ferry journey takes 9 hours depending on the time of year. You can get an ‘airline-style’ seat on the ferry for around $45. You can also take a ferry from Piraeus to Heraklion, Crete. This is also a 9-hour journey, for around $35. Ferry booking agencies work like airlines in that you’ll pay more once they start running out of seats. It’s a good idea to book the first leg of your journey directly with the ferry company. Then book your ongoing travel once you get to your first island. I found the local kiosks on the islands much more economical and I’m not a big fan of online ferry booking agencies. Otherwise, fly into Chania or Heraklion directly. Stephanie from Sofia Adventures thinks Crete is the best Greek island to visit for its beaches. Of all the Greek islands I’ve visited, my favorite is Crete. It has a relaxed-yet-elegant atmosphere, with beautiful towns and cities to explore. The city of Chania is a true gem, with its beautiful Venetian harbor and lighthouse. The beaches in Crete are simply stunning, but the highlight for me was Seitan Limania. Getting there is a bit daunting since you have to climb down the cliffside. Once you arrive, you’ll find it was more than worth it. For our visit, we rented a private villa, which added an element of luxury to the trip. The villa was surprisingly affordable, and we liked being a little on the outskirts of Chania so that we had some extra privacy. Since Crete is the largest island in Greece, you won’t see everything in just a week or even in two. Between Heraklion and Chania, there’s a ton to explore. There are also beautiful beaches and villages all across the island. Elafonissi, Crete’s famous pink beach, is a can’t-miss site. But also check out Vai beach, which boasts the largest natural palm forest in Europe. Pro tip: make sure you know where you want to stay before booking your flights, since you can fly into either Chania or Heraklion for about the same price. The cities are on opposite sides of the island. The Cyclades Islands in Greece are quite popular. They are not far from the mainland and there are many to choose from. And each island is not that far from one another. If you don’t like one island, you can easily hop to another. The major islands of the Cyclades include: Amorgos, Anafi, Andros, Antiparos, Delos, Ios, Kea, Kimolos, Kythnos, Milos, Mykonos, Naxos, Paros, Folegandros, Serifos, Sifnos, Sikinos, Syros, Tinos, and Santorini. A ferry from Piraeus to Paros will take a bit over 4 hours for $40. I am quoting prices in May when it’s not ultra high season. Next stop is Naxos, which is a further 1 hour is $42. In another 2 hours on the same boat you’ll arrive on Santorini island for roughly $46. These are not break-the-bank prices for the experience you’ll have. Who says you should visit the Cyclades Islands in Greece? 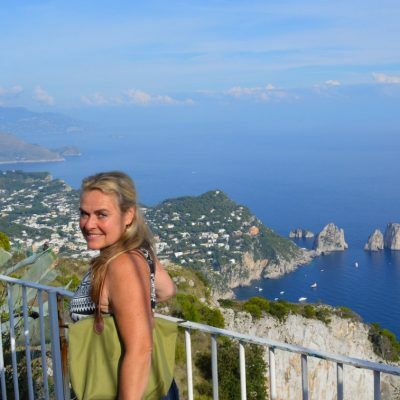 Lucy from On The Luce says Ios is her favorite Greek island vacation spot. Ios is a short ferry ride from Santorini and shares a lot of its charm, but without the crowds. In peak season it’s a party favorite. Backpackers on island-hopping summer adventures stop off to sunbathe during the day and party all night. Outside of high season the pace of life slows right down on the island. It’s a great place for a relaxed spring or autumn break. Main town, Chora, is a classic Greek town with postcard-style whitewashed buildings stretching up the hillside. There are traditional windmills and a maze of narrow cobbled streets. Here you’ll find tiny restaurants, cafés, bars and shops, as well as plenty of snoozing cats. The island has 365 churches but the most spectacular is the one at the top of the hill above Chora. Climb up there just before sunset for one of the best views on the island. Ios has over 20 beaches. The most popular is Mylopotas Beach with a mile of golden sand fringing the clear blue waters of the Aegean. There are bars and restaurants along the waterfront to enjoy. And it’s a good place to rent a paddle board or boat and explore the coast’s hidden coves. You can also drive or take an ATV tour to the tomb of poet Homer, and the ruins of early Bronze Age settlement, Skarkos. Becki from Borders of Adventure says Kea is a peaceful, quiet Greek island. Kea island is only one hour away from Athens, yet remains relatively unknown as people flock to the larger sister islands of Naxos and Paros. Yet Kea has a local charm. It is, after all, where Athenians go for a weekend or buy a second home for a summer getaway. It’s untouched and rugged. Kea has a mix of everything you need for downtime and adventure. There’s quiet golden sand coastlines for relaxation without the crowds. You’ll find villages and tiny towns for casual exploration, and grassy, hilly terrain for those looking to tackle the 25 miles of nature trails and off-beat hikes. This is a unique, quiet Greek island. It’s less trodden with the authenticity that comes from the abundance of local life that isn’t dictated by the beat of mass tourism. Just hope that you meet a local with a yacht willing to show such a curious traveller around this little island treasure not far from the Greek capital. Not many come here, but you’ll be one of the few. 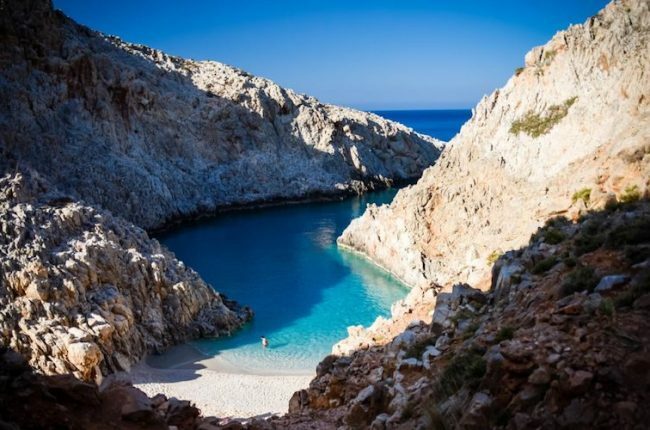 Paula from Expert Abroad says Milos has some of the best beaches in Greece with over 70 of them! Milos Island in the western Cyclades quickly became the standout stop of our recent 6-week Greek Holiday. There are over 70 beaches, most of them almost devoid of visitors. Milos is an outdoor lover’s delight offering a variety of landscapes to enjoy. From the positively lunar-looking Sarakiniko and Kleftiko beaches, to the quiet, sheltered bay at Pollonia, there is enough here to keep you entertained for a week. Milos was the home of the Venus de Milo before she was spirited away to the Louvre. The island also has some excellent historical sites. The catacombs near Trypiti and the Archaeological Museum in the Plaka are good stops for anyone interested in history. Be sure to pop into the fishing villages of Klima and Madrakia, and arrive with an empty belly. The Medusa Tavern in Mandrakia is a great lunch spot. We stayed in Pollonia with its small strip of waterfront restaurants and cafes. It is an excellent base for exploring the island. The village has a great range of accommodation from 5* hotels to small family run properties and Airbnbs. This is one of the best Greek islands for families. Top of the list for day tours is a round island boat trip. Many of the beaches are hard to reach, so this is the best way to see them all. I recommend jumping on the local ferry to Kimolos just 20 mins away. The Kyma Restaurant on the beach near the wharf has a great wine list to sample while you wait for your return ferry. Milos is the perfect island to unwind, swim, hike and eat, which are pretty much my favourite things to do in Greece all wrapped nicely in one package. Head to Mykonos if you love a vibrant island with plenty to do. Mykonos is one of the best Greek islands, and for good reason. It’s a beautiful island with something for everyone. While it’s known as the ‘Party Island,’ and popular with gay travelers, it’s also one of the best Greek islands for couples and families. The island is easy to get to with numerous flights from Athens and other parts of Europe. The island is heaving in summer with tourists enjoying a beverage in Little Venice, which gets its name due to the resemblance of Venice, Italy. 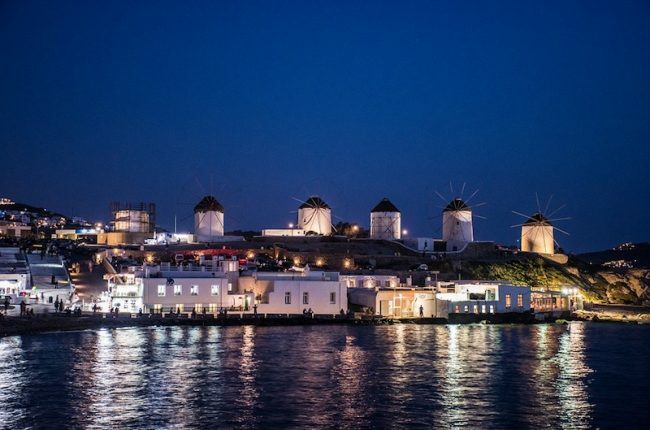 You must go and see the iconic windmills in Chora, which used to be grain refineries. There are only a few left and they are either private homes or museums, but they are still amazing to see. 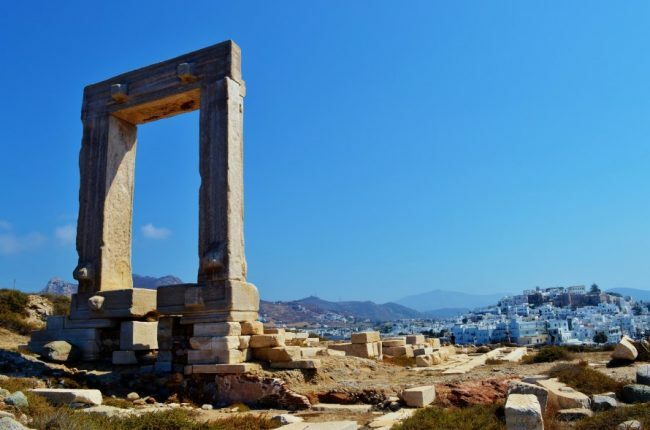 You should also explore the archeological sites on nearby Delos Island, which is said to be the birthplace of the twin gods Apollo and Artemis. You can visit this uninhabited island by taking a boat from the main harbor. It’s one of the most mythological and historical sites in Greece where you find temples, a theatre and numerous ancient artifacts. If shopping is your bag, head to Matoyianni Street in Chora where you can meander the cobblestone streets to find market stalls, shops and boutiques with souvenirs, jewelry and designer clothing. You should also take time to head to the beach on Mykonos. The beaches are spectacular and clean, and the water is crystal clear. There is no shortage of nightlife to entertain you in the evening. Mykonos town at night is throbbing with loud and subtle sounds coming from discos, bars and lounges. You’ll find any atmosphere you are looking for on Mykonos. For a complete guide on where to stay on Mykonos, here’s some super helpful information. Barbara from Travel Gear for Kids says Naxos should be on your list. Naxos is one of the best Greek islands for beaches. According to legend, Naxos is where Theseus left Ariadne after slaying the Minotaur in the labyrinth of Knossos. It’s also the largest island of the Cyclades. You’ll reach Naxos in 3,5 hours by ferry from the port of Piraeus (Athens), with countless ferry connections to the other Cyclades and Crete. It’s an easily-accessible island. There are wonderful beaches, magnificent landscapes and secluded ruins to give it a certain mysterious feeling. Naxos is one of the best Greek islands for families and hikers. The main town of the island is Naxos Town (also called Chora), which has an old section with a wonderful maze of narrow streets. 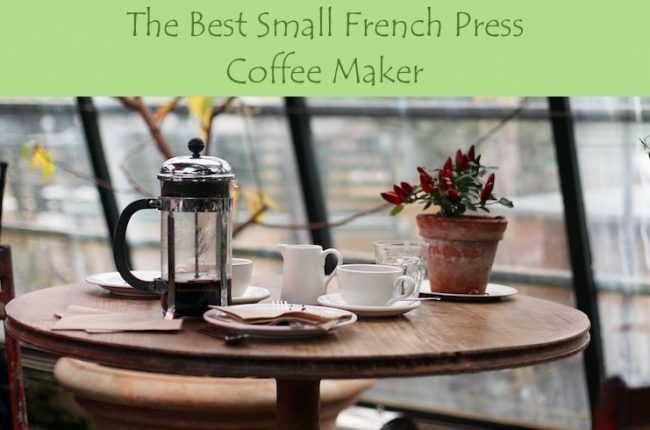 It is the perfect place to spend a couple of hours wandering around the little handicraft shops, gazing up at the brightly pink bougainvillea flowers and sip a coffee on a shady terrace. Other indispensable sights are the 13th century Venetian castle and the waterfront promenade. The most spectacular thing to visit is the Portára, the gate of an unfinished temple of Apollo. This archeological site is only a couple of steps outside Naxos Town and one of the first things you’ll notice when arriving by ferry. It is especially stunning at sunrise or sunset. This is a top Greek island for history buffs. Apart from charming inland villages like Apiranthos and Chalkio, make sure you don’t miss the marble statues of Kouros, the Zeus cave and the temple of Demeter. 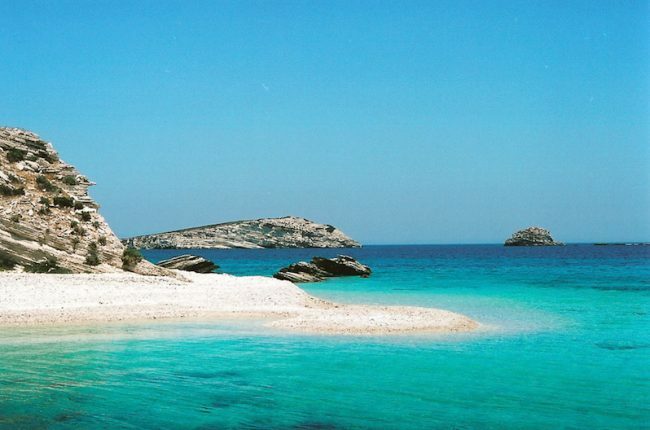 Christopher from Traveling Mitch thinks Paros is the best Greek island for beaches. Paros is one of the best kept secrets in all of Greece. It’s small in stature, but once you arrive, you’ll recognize that you’re not going to be wanting for anything at all. Paros is known for its beaches and traditional villages. The swimming there truly is terrific because the beaches are not as crowded as they are on other Greek islands. The beaches are also special because it’s not just about the swimming but the scenery. That’s especially the case with Kolympethres, which has scenic rock formations all around. You’ve also got a slew of churches that are worth visiting, such as Panagia Ekatontapiliani, which is a mouthful to say, but a wonder to visit. 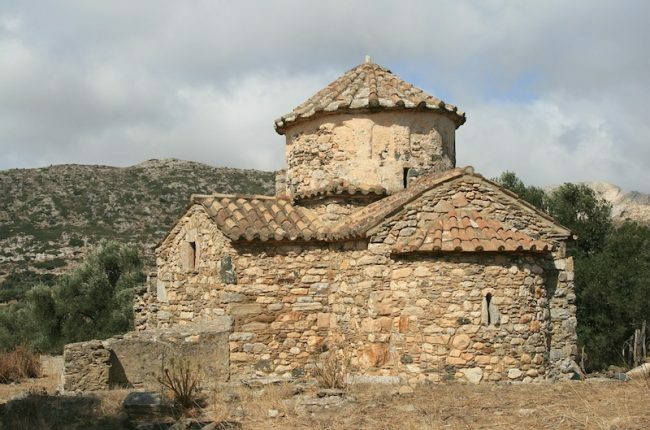 It’s a Byzantine-era stone church which is in immaculate shape. The best way to see the island is to get yourself a vespa. Just cruise from town to town eating all the delicious food you can and taking in the rays of sun. Paros is a special place. Santorini is one of the best Greek islands for couples with it’s dreamy sunsets and luxurious accommodations. If you love luxury and sunsets, you’ll love Santorini. It has some of the best luxury hotels and resorts in Greece. Santorini is actually quite a popular and busy island. It’s on both the ferry and cruise ship routes, with ships coming and going from Thira Harbor. Tourists flock to the village of Oia in the north for the awe-inspiring sunsets and to photograph the iconic blue-domed churches that are symbolic of Santorini. For a quieter visit of Santorini, head to the village of Pyrgos. It’s a quaint town with a few shops and restaurants. You’ll feel like you’ve left the rest of the tourists behind. 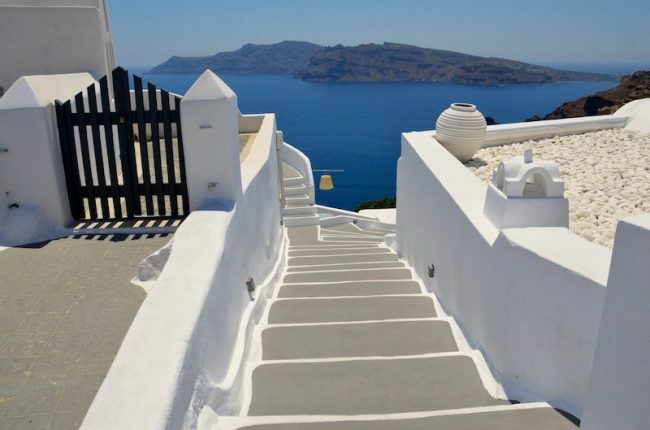 It’s a great place to base yourself to explore the southern part of Santorini. 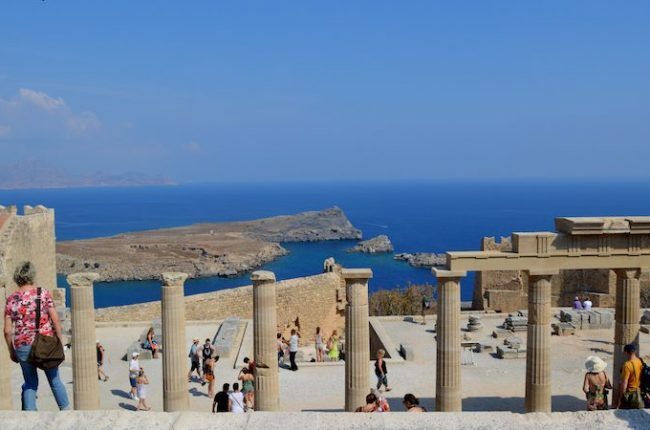 You can easily grab the frequent KTEL bus or rent a car and visit the ancient ruins of Akrotiri. Akrotiri was covered in volcanic ash, like Pompeii in Italy, but the site dates to 1627BC! It’s a great respite from the scorching sun as the site is covered and cooled. The beaches are black and red on Santorini since it’s basically the outer edge of a volcano. Some like that color, others don’t. You can head south to the Red Beach for a swim and marvel at the strange, red sand. The island is so romantic, it’s truly one of the best Greek islands for couples. Another must-do thing on Santorini is take a wine tour. I had a great experience with Santorini Wine Adventures learning about the local varieties. It’s also interesting to see that grapevines on Santorini grow close to the ground. Very unique. The best time to visit Santorini is April-June and Sept-October. However, it’s an expensive island, catering to a high-end market. 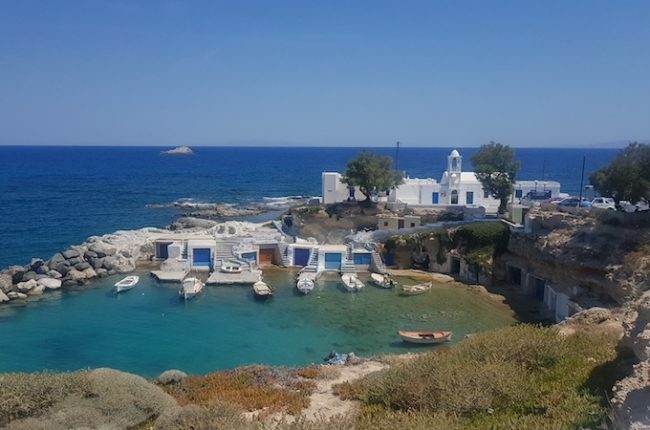 Kathryn from Becoming You believes that Sifnos is one of the best Greek islands for sailing. One of the very best ways to see the islands of Greece is from the water. This is exactly how I experienced the Greek isles when we set sail from Athens for a week-long sailing trip. Our first stop was Aegina with it’s ancient temple ruins. Then we arrived at Poros at sunset to a magnificent peach-tinted town tumbling down the cliffs. We then visited the port of Hydra where donkeys are the only mode of transport. A long day of sailing took us across the Aegean towards the Cyclades where we explored Kythnos by scooter, and the next day we made our way across to Serifos where we anchored overnight in a bay lined with Tamarisk trees. All of these Greek islands had something unique to offer, but it was our final stop, Sifnos, that cemented it’s place in my heart. We arrived by water, which was a thrill, but we were actually escorted in by dolphins! I got the feeling that the place is pure magic! We moored in the port of Kamares and set off to explore the island. We caught the bus from Kamares to highest point on the island where we stumbled across the most incredible highlight of our whole holiday. It was an ancient pathway linking the two main towns on the island – Appollonia and Artemonas. We went back down the hill in Kamares to soak up the typical Greek seaside village atmosphere. Kids were riding their bikes on the main road. Waiters were rushing across the street delivering orders to tables overlooking the bay. There were ceramicists drying their pottery plates in the sun, and stray cats were cruising about looking for a snack. There were also local fishermen selling their daily catch down on the dock. This simple seaside town puts on no show, but the glimpse of Greece it offers is entertainment enough for me and caused me to fall in love with Kamares! The Dodecanese Islands are probably the sunniest of the Greek islands. It’s a magical place for your Greek island holidays. These are also some of the best islands for winter sun. There are 15 main islands and around 150 other smaller islands, all dotted along the coast of Turkey in the southern Aegean sea. And all nestled in a sunny pocket in the Mediterranean. The main islands in the Dodecanese includes: Agathonisi, Astypalaia, Chalki, Kalymnos, Karpathos, Kasos, Kos, Leipsoi, Leros, Nisyros, Patmos, Rhodes, Symi, Tilos, and Kastellorizo. Rhodes and Kos are the largest islands and a good place to start your Greek island hopping of the Dodecanese. These islands have been under Ottoman and Roman rule, and tossed back and forth like a beach ball between Italy and Turkey, mainly. They have always been a strategic location for battles in the Mediterranean and their history and culture is formed due to that today. The Dodecanese islands are steeped in history. You will find amazing palaces, monasteries, fortresses and citadels on many of the islands. Which Greek islands in the Dodecanese should be on your list? Helena from Just for One Summer says Astypalaia (also written Astypalea) is a super authentic Greek island. Are you looking for an authentic Greek island holiday far away from the crowds, cruise boats, and cheap souvenirs? An island that’s still utterly Greek, wild and mostly undeveloped? Then Astypalea is the right place for you! 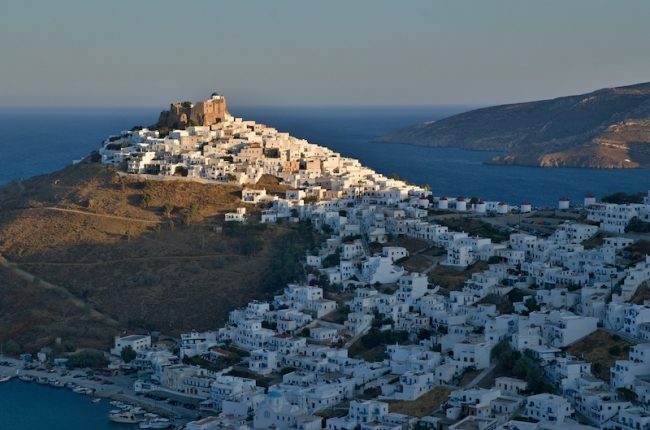 Astypalea belongs to the Dodecanese but feels more like the Cyclades with its whitewashed villages and rugged coastline. Its main attraction is Chora, the capital, build around an impressive Venetian castle on top of a steep hill overlooking the sea. This may easily be one of the most picturesque Greek villages. Walking through its narrow cobbled alleys at sunset is extremely romantic. The Chora of Astypalea is the liveliest place of the island as well, filled with taverns, cafés, shops and small hotels. The beaches of Astypalea are mostly pebbly and small with amazingly clear water and striking views of Chora in many cases. Some of them, like Tzanaki or Plakes, require a bit of walking and your own beach equipment. Others, like Livadia, Agios Konstantinos or Vatses, can be reached by car and include a beach bar and umbrellas. But for the best swimming experience, embark on a day boat trip to the tiny islands of Kounoupoi and Koutsomiti, about an hour from Astypalea. These small islets are completely uninhabited except for a laid-back beach bar at Kounoupoi. It feels more like the Caribbean thanks to their remote location and unbelievably turquoise blue sea. If you love the outdoors, fewer tourists and natural sponges, Kalymnos is the best Greek island to visit. It is off the beaten track, often overlooked for it’s more famous and lively neighbors of Kos and Rhodes. It has the 3rd largest population of the Dodecanese islands, but it is not overwrought with tourism. It’s a very quiet Greek island. The terrain is very rugged and barren. You wouldn’t go to Kalymnos for the beaches, although there are some lovely ones at Emporio, Kantouni, Masouri and Myrties. These beaches have loungers and umbrellas, the other beaches are more secluded and private. You come here to chill, and appreciate the outdoors and the sea. Kalymnos is a climber’s paradise with numerous steep mountain faces, canyons, coves and craggy cliff sides. You can climb or hike Kalymnos, or head over to the nearby island of Telendos, which is less than a mile away by boat. Water taxis go from Myrties to Telendos year round. On a side note, a boat excursion to Telendos is a must for an ultimate romantic day out. This is a quiet Greek island that offers peacefulness. There is a small road network, but it’s only accessed by foot. You can easily base yourself in the main harbor town of Pothia and rent a car to discover the rest of the island. Accommodations are inexpensive and the restaurants offer good-value, traditional fare. While you are there, pick up an authentic sponge. Sponge diving used to be the life-blood of the economy of Kalymnos. While it may not seem like it, Kalymnos is one of the more wealthy islands in the Dodecanese. It’s a hidden gem. Thermal Springs in Greece? Try Kos..
Asher from Asher & Lyric says Kos is a great Greek island holiday destination for the thermal springs. Kos is a fairly large Greek island located one hour via ferry off the coast of Bodrum, Turkey. It’s a real gem. 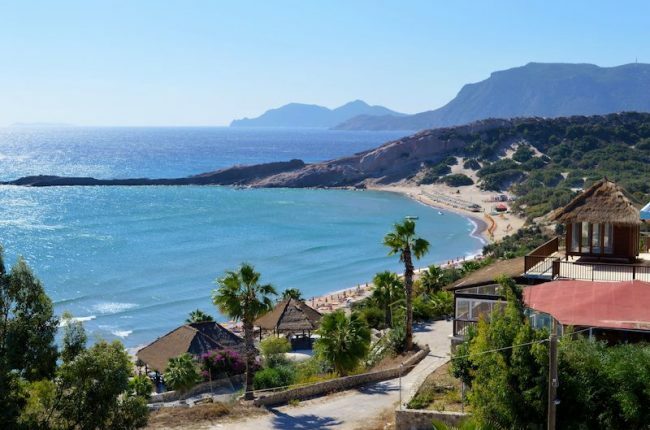 It’s one of the more laid-back islands, perfect for relaxing and rejuvenating in the nourishing Mediterranean sun, while enjoying incredible local food and drink. My friends and I particularly loved going to the Kos Thermes Beach, which are thermal springs right on the beach! It’s only about a 25- to 30-minute drive from Kos Harbor. And the springs range from about 104°F to 120°F in several pools along the beautiful sandy shoreline. Studies have shown these springs have various healing properties. If you get too hot you can just take a dip in the crystal clear seawater, which is always cooler. There are many other gorgeous beaches on Kos as well as countless other things to do. For example, there are many ancient ruins including a gymnasium, amphitheater and castle fortress that was used by the Knights of St. John to keep watch over the strait between Kos and Nissyros. Throughout the island, you get the most stunning views of other islands which at certain times in the day appear to be magically levitating in the sky because of the low lying sea mist. 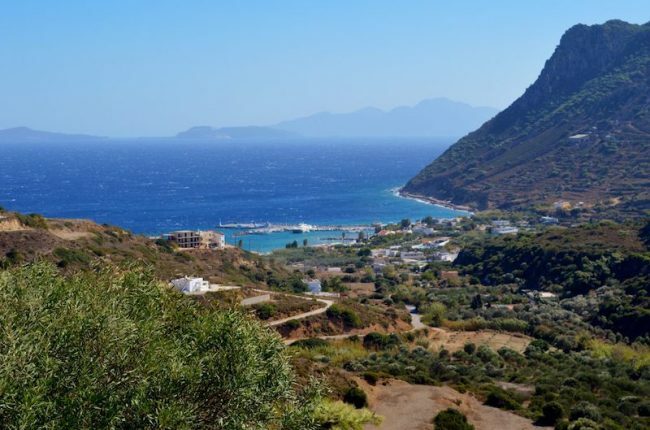 Kos is also a great place to take a scenic bike ride, watch wildlife, shop for local hand-woven goods and to just marvel at the beauty of life! 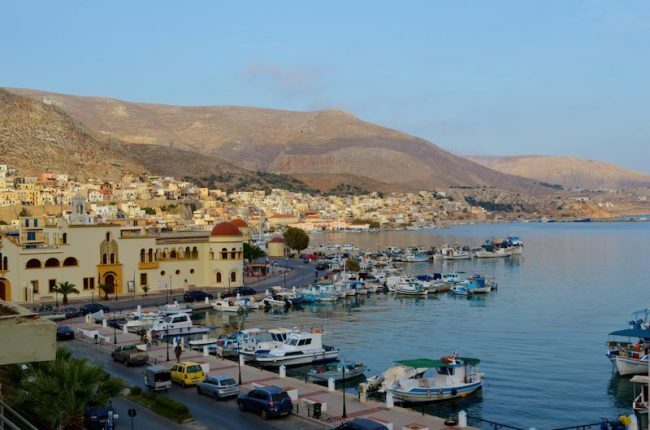 Alana from Family Bites Travel says Leros is a great Greek island destination with few tourists. Leros is located only 13 miles from the mainland of Turkey. It is not a well-known island and is not on the normal tourist route. Why should you visit such an unknown Greek Island? Leros has all the Greek-island feel that we love about this area of the world. It has beauty, beaches, seafood, and the quaint, fisherman-village lifestyle. And the best part is you don’t have to share it with all the other tourists. Leros does have a dark history that includes Mussolini and an infamous mental asylum. There is almost an embarrassment amongst locals when you talk about the history of the island. There are flights from Athens to Leros that take around 45 minutes. If you wish to get a ferry, the journey from Athens will take over 14 hours. We went on a day tour to little Leros and it was glorious. We had the entire place to ourselves. It was unbelievably beautiful. There are many simple but delicious taverns that offer very affordable Greek food. Accommodation options are pretty limited but extremely cheap, in the region of $50 per night. Given its location, it is an ideal stepping stone to travel onto Turkey or vice versa. It will require a ferry trip to Kos, then another ferry to Bodrum. Leros is where you can leave the rest of the world behind. It is relaxing and quaint. It should be on your itinerary. Sofia from Sofia Adventures thinks that the island of Rhodes is great for its history. The beautiful island of Rhodes is of the most beautiful islands in Greece. 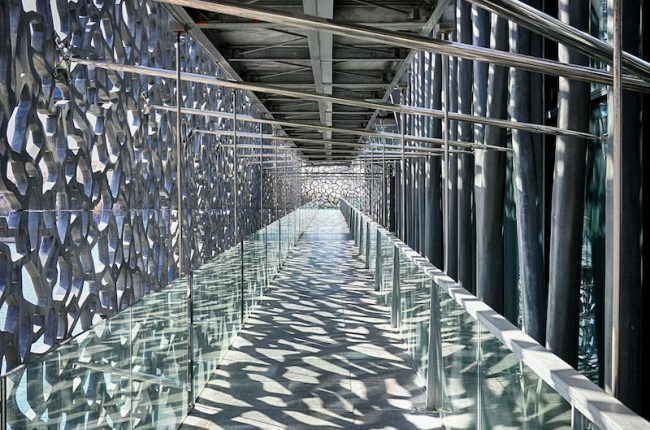 There are countless reasons to visit, depending on what type of traveler you are. The historic Old Town of Rhodes is a UNESCO World Heritage Site and there are countless things to do and see in Rhodes for historically-minded travelers. A few points of interest include the Castle of the Knights, the Palace of the Grandmaster, and the Suleiman Mosque. You can even visit the site of the former Colossus of Rhodes, an enormous statue that used to be one of the Seven Wonders of the World before it was destroyed by an earthquake. If you prefer beach time, Rhodes is one of the best Greek islands for beaches. Lindos Beach, about one hour by bus from Rhodes Old Town, is one of the most beautiful beaches in Rhodes and even in all of the Dodecanese Islands. This is the perfect Greek island for families and travelers who prefer swimming in gentle waters rather than chasing big waves. The bay in Lindos is calm and offers numerous shades of turquoise and blue; the water is perfect. 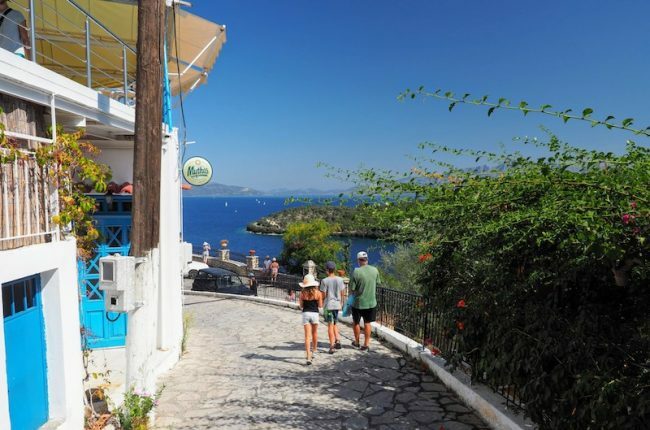 In general, Rhodes is a quiet island, better suited for relaxation, and it’s a great Greek island for honeymooners, but there’s definitely no shortage of bars for a night out on the town. My top pick is The Union Bar for delicious mouth-watering burgers and beautifully concocted cocktails. My best insider tip is to visit in the off season. We visited in late April and were able to enjoy warm weather, even taking a dip in the water, yet prices were insanely low and there were few tourists. 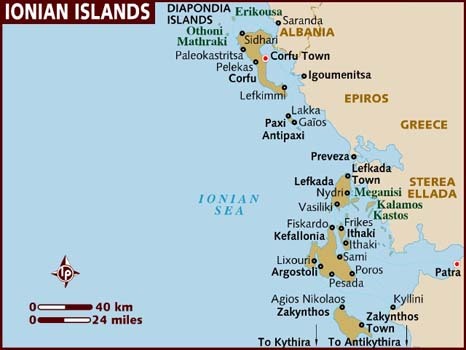 The Greek Ionian islands are the seven islands found on the western coast of Greece in the Ionian Sea. They are the islands of Corfu, Paxos, Lefkada, Ithaca, Kefalonia, Zakynthos and Kythira. Here you will find lots of Italian influences since they are the closest to Southern Italy and Albania. Visiting these islands is also easy if you are taking a ferry from various Italian cities such as Ancona, Bari or Brindisi. Sarah from ASocialNomad thinks Kefalonia’s great for Mediterranean sailing. 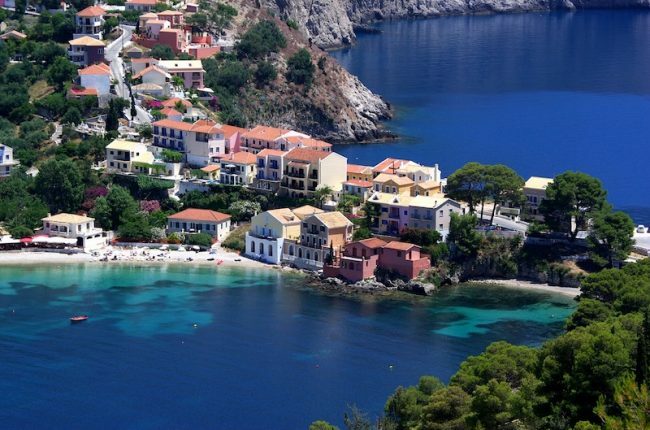 Kefalonia is the 6th largest island in Greece and the largest of the Ionian Islands. It lays claim to having been the home of Odysseus and Cephalus. The island is perhaps more well known as being the setting for the well-known book and movie, Captain Corelli’s Mandolin. Visitors to Kefalonia (sometimes Cephalonia) either fly in and spend their vacation on the island or visit by sail boat. The Ionian Sea is one of the safest places to sail in the Mediterranean, and the ports of Kefalonia play a large part in hosting visiting sailors. The idyllic port of Fiskardo, with its tavern-lined harbor, is a picturesque and pleasant stop for sailors and landlubbers alike. The island boasts many spectacular beaches, the most remote of which is Myrtos Beach. It’s secluded, and undeveloped and surrounded by sheer limestone cliffs. It adorns many a postcard. Definitely, an island to chill on, Kefalonia’s Melissani Cave lets visitors drift through this striking subterranean lake known for its crystal clear waters. It was only discovered when the roof fell in! For a little more culture, the castle at Assos along with St George’s castle are fine examples of Venetian fortification and military architecture. Crystal from Castaway with Crystal says Lefkada is the best Greek island for beaches. Although I visited a few islands during my 3 months in Greece, the island that really stuck out to me was Lefkada in the Ionian Sea. They call this large Greek island, “The Caribbean of Greece”, and there are some seriously hospitable locals. Not only is the island itself stunning; with green grassy cliff edges contrasted by sheer white cliffs that reach down into bright turquoise waters, but it is also easy to get to. There is a bridge that connects it to the mainland. 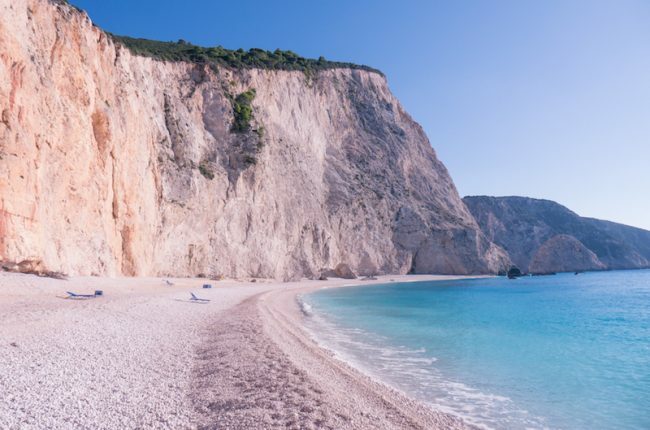 Unlike more popular Greek Islands, it is easy to find a beach all to yourself and sometimes you feel like you might be the only tourist on the island until you go out in the main town of Lefkada where there are busy trendy bars and even pumping nightclubs. As you drive around Lefkada you’ll be sure to happen upon the dull green olive farms, organic honey being sold roadside and cute traditional villages. When choosing a place to stay, there’s a good chance you’ll get a room with a view since one side of the island perfectly faces sunrise, while the other boasts an epic sunset. I can’t think of a place in Europe that captured my heart as quickly and Lefkada Island. Jacqui from Four Packs Travel says Meganisi, Greece offers an authentic Greek island vacation. Meganisi is perfect for a relaxing getaway, with crystal blue waters, and the feeling of just getting away from it all. This beautiful little Greek island is nestled between the island of Lefkas, and the western mainland, in the Ionian Sea. To the north is the private island of Skorpios, previously owned by the Onassis family. One of the most popular and larger towns on the island is Vathi, where the ferry from Lefkas docks. 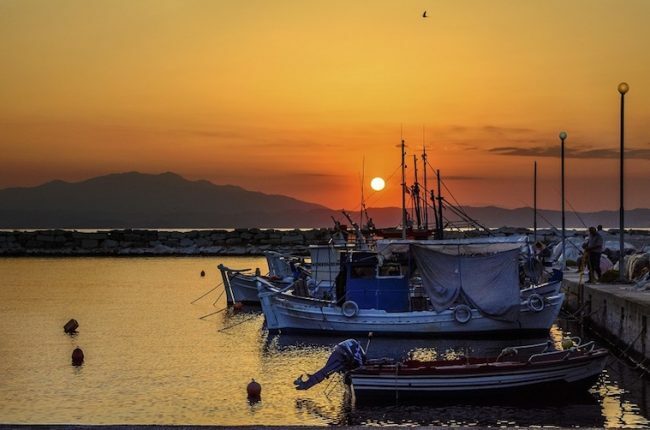 You can eat at one of the taverns in the warm Greek sun, and watch the boats come and go. Just a little further south of Vathi is the sleepy village of Katomeri, which hosts a few local shops. On the western side of the island, you find Spartohori, which sits high on the hill overlooking picturesque Spilia Bay. The closest airport is in Preveza, on the mainland. Tourists often catch a ferry from Lefkada to Vathi for a day trip, but the best way to see Meganisi is by boat, if possible. We sailed into the port of Spilia and docked and swam in the beautiful bay just meters from the shore. For dinner, we ate fresh fish that the restaurant owner’s son caught that afternoon. Then, followed by a cold beer or two, and an Ouzo. The North Aegean islands in Greece are a scattered group of islands in the eastern part of the Aegean Sea next to the coast of Turkey. In fact, many of these islands used to belong to Turkey. Turkey lost these islands in the early 1900’s during the First Balkan War. Don’t you hate that when you lose precious islands?!! There are quite a few popular islands in this group: Samos, Ikaria, Chios, Lesbos, Lemnos, Agios Efstratios, Psara, Fournoi Korseon, and Oinousses. Sandy from Tray Tables Away says the island of Chios is perfect for history buffs. Chios is the 5th largest Greek island just 7 miles off the coast of Turkey. Apart from being very beautiful and home to warm and friendly people, it is unique in many ways. It is thought to be the birthplace of Homer and was once the shipping hub of Greece. It is home to a world UNESCO site and an 11th century Monastary. 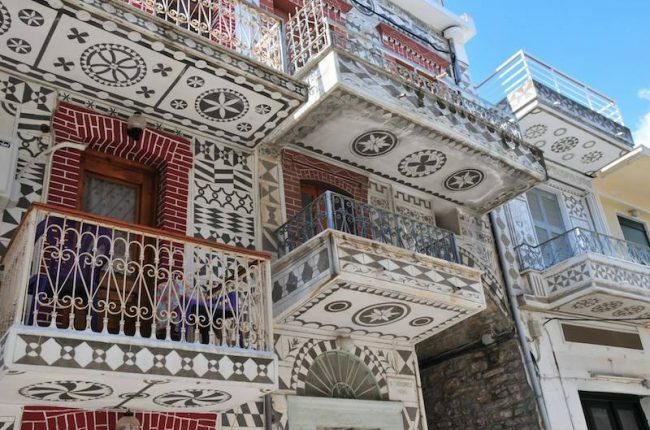 There is a very unique architectural style in the southern town of Pyri where most of the buildings are decorated in hand-carved etchings. There are many stunning beaches and coves, and it is largely overlooked by mass tourism. The most distinguishing fact about Chios is that it is where Mastic is grown. This a small fragrant shrub that produces a resin used around the world in toothpaste, cosmetics, medicine and food. It was once the primary ingredient in chewing gum. Mastic only grows on Chios, and is an “appellation d’origine controlle,” a controlled ‘designation of origin’ product similar to Champagne. Chios is called the ‘Fragrant’ island because of this. It is a fascinating place. It’s rich in history and culture, and is the reason it remains one of our favorite islands in Greece, if not the world. 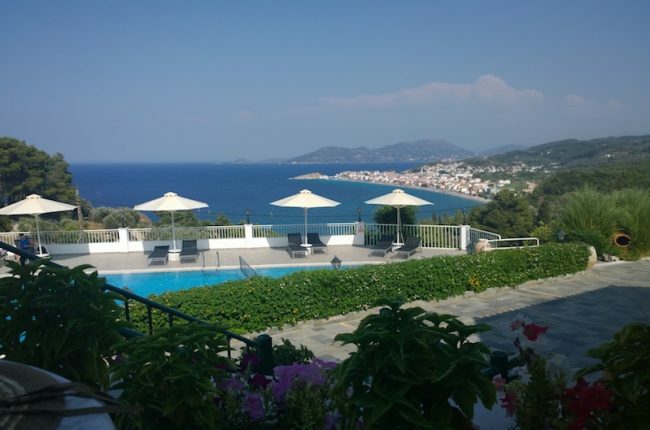 Summer from Eat Something Go Somewhere says Samos is a great Greek island for relaxation. One of my fondest travel memories is the week I spent in Kokkari, a small fishing village on the island of Samos. 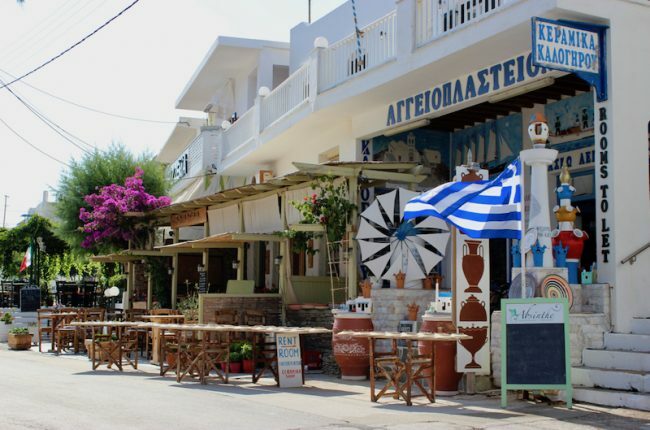 Tucked into the northern side of the island, Kokkari has all the trappings of a quint Greek locale. There are friendly residents, turquoise waters, whitewashed houses lining cobbled streets, and colorful rowboats bobbing at the edge of the water. We spent our days either lazing around the pool admiring the views from high on the hillside without a care in the world except for reapplying sunscreen and keeping a good book at hand, or down at Lemonakia Beach, a picturesque, sheltered bay with a taverna where we enjoyed crisp Greek salads and moussaka for lunch. We wandered into the heart of Kokkari in the evenings to enjoy fresh seafood, local Samos wine, and watch the sunset over the Aegean. Rent a car and drive around the island to explore further. 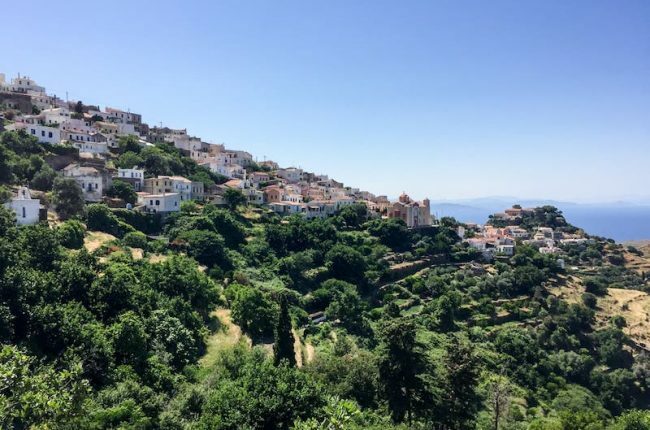 We wound our way up to the exceedingly charming mountaintop village of Manolates, and down to Pythagoreio, famous for its beautiful harbor and ancient ruins. Samos is located just a stone’s throw from Turkey, and there are daily ferries that run from April through October between the island and the Turkish town of Kusadasi. The journey by ferry takes about an hour and a half and makes for an interesting daytrip—that is, if you have enough time on Samos to spare a long afternoon. Today, Samos remains a remarkable place for discovery. It’s an island of myth and legend being the birthplace of Hera, mathematics and philosophy. Aurelia from the Daily Travel Pill says Thasos Island is a great Greek Island destination that is still affordable. Situated in the northern part of Greece, Thasos is one of the most underrated islands in the country. Although it’s quite small, it has a lot to offer! You’ll discover some of the best beaches in Europe on Thasos with crystal clear water, white sand and surrounded by tall mountains and palm trees. My favorite beach in Thasos is the Marble Beach. As the name suggests, instead of sand, here you will find small marble stones. It’s just breathtaking! If you want to swim in a naturally formed lagoon, connected with the ocean, head to Giola. You can snorkel and take some amazing shots here! Make sure to be there early in the morning if you want the place just for yourself because the crowds arrive later in the day. Some of the areas where you can find excellent accommodation are: Potos, Limenaria and Chirsi Akti. If you are looking for a Greek island with affordable prices, great food and incredible views then you should definitely choose Thasos. 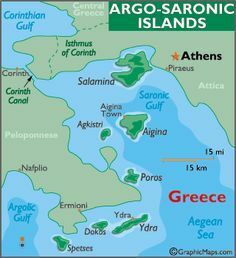 The Saronic Islands in Greece is an area where you’ll find many Greeks have vacation homes. These are the closest Greek islands to Athens and they are a favorite weekend break location. The most popular islands are Aegina, Agistri, Hydra, Poros, Salamina and Spetses. There is frequent serve by ferry from Pireaus, and are a great, quick-and-easy, vacation spot if you’re short on time. 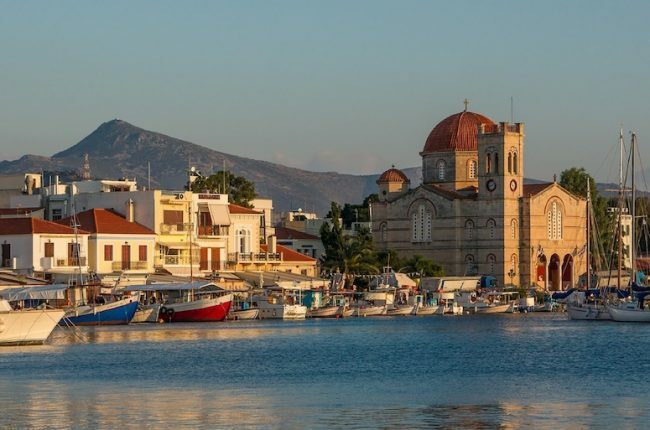 The island of Aegina is where Athenians take day trips and weekend breaks. You will unlikely find total solitude here, but you will find the smaller villages can restore your energy. The island is around 45 minutes by ferry from Pireaus. Unless you are coming off a ferry yourself, it’s best to avoid the harbor during landing time. Otherwise, you’ll be stuck in the parade of traffic winding to the villages. Anyway, this also makes for a fun, buzzy vibe, especially on the weekends where people spill in to enjoy the restaurants, and pedal a bewildering array of human-powered transport along the prom at Ayia Marina. There are even go karts for tots. One must-do is the Doric Temple of Aphaia. But check the opening times as it’s a distance out of town, especially if you are on a bike like we were. This temple is the most important monument on the island, and forms an equilateral triangle with the Parthenon and the Temple of Poseidon at Sounion. There are some impressive churches too, from monasteries to tiny harbor-side chapels. Why not do some yacht spotting at the harbor and then decide whether to take a boat trip to Poros, Moni or Hydra the following day? Each morning we enjoyed wandering the lanes of Ayia Marina, strolling through the fish market and winding up at one of the beach restaurants for lunch where we enjoyed a Greek salad and a swim. Kristie’s offered a great road trip itinerary on Crete here. The Sporades are a small Greek Island group of around 24 islands. They are just north of Euboea on the northeast side of Athens. The most popular islands in the Sporades are Alonnisos, Skiathos, Skopelos and Skyros. Sporades means basically, the ‘scattered’ islands. They are off the beaten path and you’ll find a few great options for a quiet Greek-island holiday. They are some of the best Greek islands for families and a great Greek vacation spot for couples. According to Kelly from Traveling Mama, Skiathos is the best Greek island for families and couples. Skiathos sits off the East coast of Greece and is part of the Sporadic Islands. The pretty whitewashed houses are lined with vibrant pink bougainvillea flowers, which adds to the romantic feel of this Island. It’s home to small beaches with shallow, crystal clear water and fine-grained sand. You won’t find many tourists here, but a few locals relaxing with a book and soaking up the sun. The whole island is safe for children. There’s not too much traffic or noise and everybody is going about their business in a relaxed pace. This is a very quiet Greek island and a great ‘slow travel’ island. When you wander up the narrow winding streets, you’ll find some quaint hideaway where you can taste the local cuisine or enjoy a cocktail or two. Don’t expect strong WiFi signal here. That will be the last thing on your mind as you’ll be pulled in to the slow-paced way of life on beautiful Skiathos Island. I highly recommend taking a boat trip to explore the neighboring islands of Skopelos and Alinossis. That’s where parts of the movie Mamma Mia was filmed. 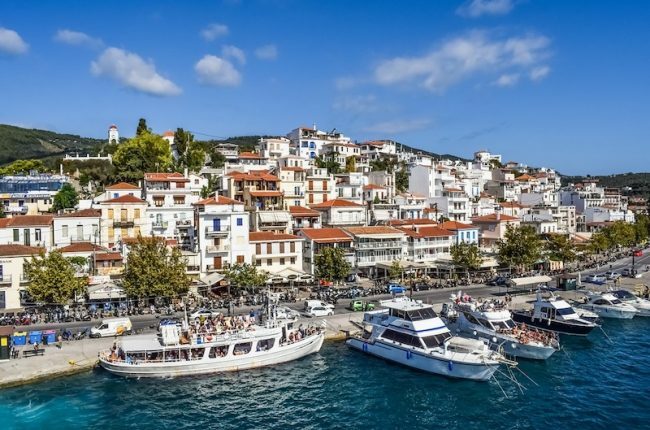 Overall, if you want to visit a relaxed Greek Island with beautiful scenery and fewer tourists, then Skiathos is perfect. It’s a great Greek island for families with young children (older children could find it boring) and for couples as a romantic getaway or honeymoon. 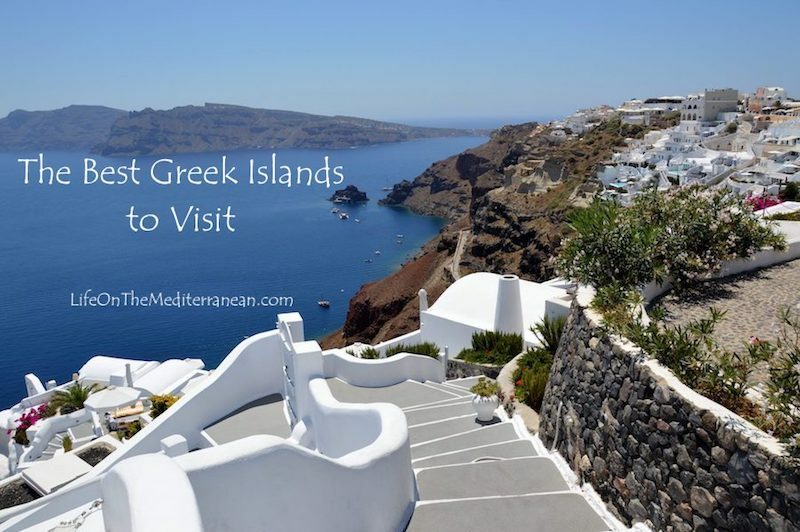 If you’re still wondering which Greek island to visit, I hope I’ve given you a few ideas. I know. I got so much inspiration from this. I think I’m going to try the Naxos, Paros circuit. Might just need an extended stay there. Thanks for the comment. Great round up of such an amazing place ! We will be visiting Greece again in a few months and this time have our sites set on Kefalonia and the Peloponnesus. So much to see, so little time !